Be sure to keep at least one eye open when viewing this photo, because a certain Simpsons teddy bear might make a surprise cameo in the pile of toys! A teaser shot of a particular background gag/plot device in my animated LEGO Alice in Wonderland video. In context, this will make more sense. The only real challenge in the construction was deciding what piece to use as the claw itself. 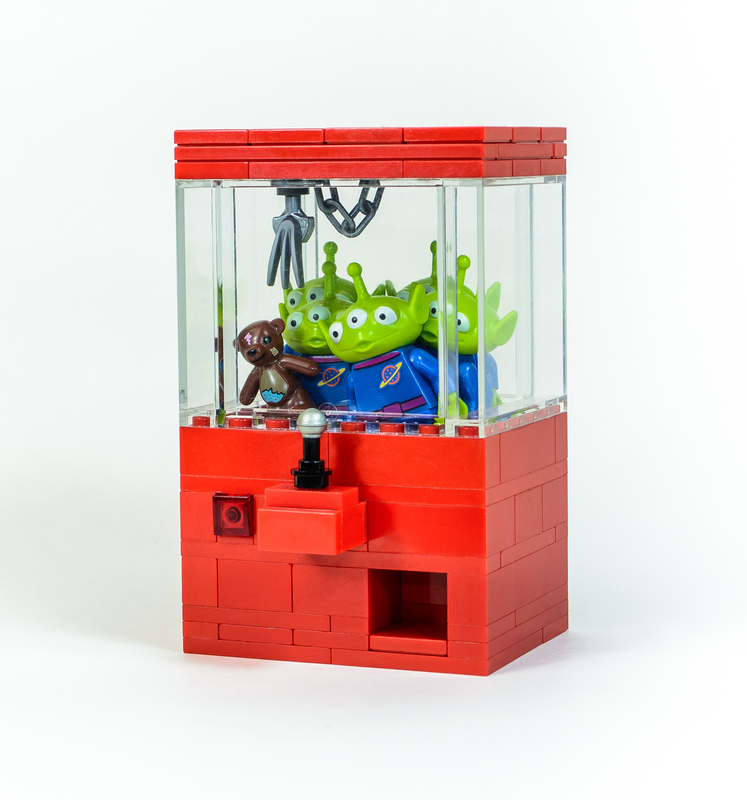 This was originally intended to be filled with miniature LEGO animals and a Bart Simpson minifig, but I decided to use the iconic Toy Story aliens as a meta joke for the claw machine gag.